Flagstaff, AZ's four-season climate means there is something enjoyable to do year-round. Many first-time visitors are surprised to see such a thriving alpine, mountain culture just a two hour drive north Phoenix. Flagstaff is known for many things: a gateway to the Grand Canyon; home to Northern Arizona University; the Dark Sky City (some of the best star-gazing in the country); The Valley's (Metro Phoenix) favorite cool-weather getaway; and locally, Flagstaffians like to joke that Flagstaff is a drinking city with an outdoor problem (there are more micro breweries than most towns of its size and the outdoor adventure culture is strong to say the least.) Whatever your reason is for visiting Flagstaff, you'll enjoy being in this relaxed yet vibrant mountain college town 7,000 feet above sea level. 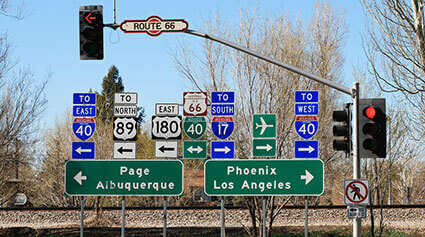 So how do you choose where to stay in Flagstaff? Many people who visit Flagstaff like to rent a cabin in the woods, stay at a vacation home near town, or even camp. If you choose a Flagstaff hotel, motel or bed and breakfast, it's often used as a home base — a place sleep and store belonging before going out and exploring the town or the great outdoors. Most Flagstaff hotels are on the budget side of the pricing scale with a just few hotels that offer more luxury amenities. But you won't find any five-star, posh resorts out here. High-star ratings are reserved for our exquisite night skies. Visitor's are often surprised to find out just how much there is to do in Flagstaff, but ultimately weather really determines how the day plays out. If it's sunny and beautiful, consider a hike or a mountain bike ride on one of the hundreds of trails in the area. 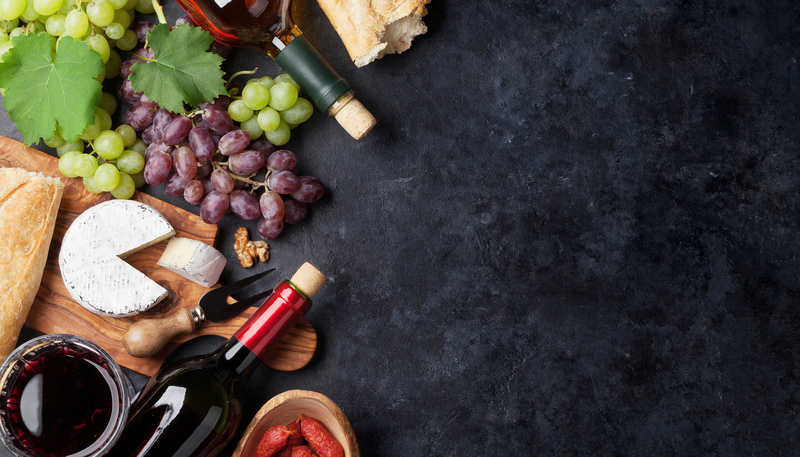 Go to the farmers market, take a look at the art at Wheeler Park on weekends, or enjoy a drink on a patio at The Square and observe the characters of Flagstaff. There is always some cultural event going on in town from capoeira and stilt dancing to Native American ceremonies. Flagstaff also has a thing for blue grass music, IPA beers and small film festivals. If you're visiting any time when the weather is warm, you'll likely find locals partaking in one of these three things if not all at the same time. Some of the favorite outdoor attractions surrounding Flagstaff include the one and only Grand Canyon National Park, which is less than an hour drive away. Other popular attractions include the Lava Tube Cave, Meteor Crater National Monument, Walnut Canyon, Mt. Humphreys (Arizona highest point at 12,637ft), the Painted Desert, Grand Falls and many others. But if you're looking for an active outdoor adventure like rock climbing, mountain biking, kayaking, water rafting or even fly-fishing and don't have much or any experience, there are professional guides that can take you out so you can experience these amazing activities more safely and fully. During the winter season, skiing, snowboarding, snowshoeing, sledding and other snow activities are Flagstaff's favorite pastimes. There are only two snow resorts in Arizona and one of them is in Flagstaff. You'll find plenty of ski and snowboard rental shops around town to make sure you have everything you need to stay warm and enjoy your time playing in the snow. Take a look at Things to Do in Flagstaff and pick from several attractions, tours and activities that you might only get to experience in Flagstaff or around this spectacular area. If you want specific advice about where to stay and what to do because you're traveling with kids, a pet, or a limited budget, we've got answers. This section is geared towards the little things that might make your trip a little more convenient if you're traveling with special requirements. Flagstaff is certainly a pet-friendly and family-friendly town. We've done some of the research for you and have narrowed down the lodging, restaurants and activities that's best fit for your family (furry ones included). From free breakfast at your hotel for the whole family to patios where your dog sit and enjoy the sun with you while you drink your morning coffee, this is our way of trying to make your search (and visit) a little easier and more enjoyable. 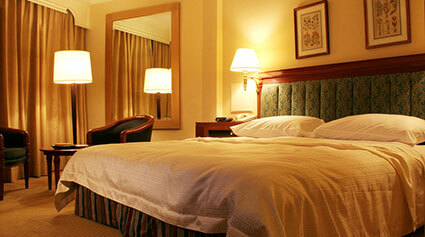 If you know of any hotel, activity or restaurant that we're missing, feel free to contact us and let us know! Here on Flagstaff.com, you'll find loads of visitor information—from how to get to Flagstaff to what to expect of the weather, plus sample itineraries and straight talk advice on dozens of topics. We've put it all at your fingertips and have even created a custom trip planning quiz, question and answer forum, visitor reviews and a place to save your favorite places to stay and things to do. The most essential and frequently requested visitor information relate to maps, directions and transportation. After all, getting here is the first step before checking into your lodging and hopping on a tour or a hiking trail. While there's no telling exactly what each individual visitor needs, most people come to Flagstaff by car. Flagstaff is about 151 miles north of Phoenix Sky Harbor, which takes about 2 hours 15 minutes to drive. Driving yourself is the best way to get to Flagstaff because you'll find yourself using your car each day of your vacation to explore all the other great areas surrounding the city like the Grand Canyon and Sedona. Plus the fascinating drives, side trips and trailheads throughout Northern Arizona are always well-worth having your own vehicle so you can go exploring at your own pace. If you choose not to drive yourself, a Phoenix airport to Flagstaff shuttle(s) is about $45 per person each way and public bus transportation in Flagstaff is available as well as access to reliable taxi cabs. Flagstaff is small enough that you can either walk, bike, or get around town in a taxi for about $5 to $10 per ride typically. 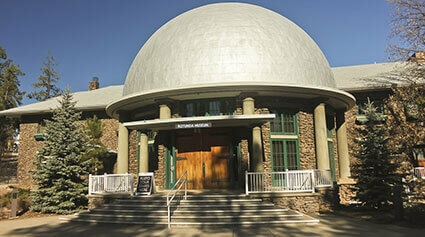 There are also shuttles and tour buses that leave to the Grand Canyon and Sedona from Downtown Flagstaff. If the only goal of your trip is to visit Flagstaff and the Grand Canyon with no further exploration, this can definitely be accomplished through shuttles and buses. Having said that, there are so many wonderful things to see in this area, and you might regret not having your own mode of transportation once you get here. 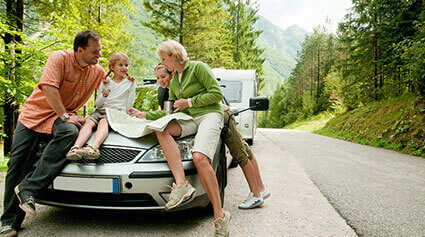 If you do find yourself in this position, there are several car rental locations in Flagstaff. The second most frequently asked topic area is related to Flagstaff weather, what to pack and when to visit. Flagstaff lures in visitors year-round with its four-season climate. The summers are glorious and cool with temperatures in the 70s (degrees Fahrenheit) in the day and during monsoon season (late summer), Flagstaff often gets refreshed with afternoon rain. Flagstaff is also known as the "Dark Sky City" so camping and star-gazing is among one of the favorite things to do in the summer for Arizonans. Fall weather brings around the glowing aspen and oak leaves with day temperatures in the mid-60s and lows in the 30s. Winter in Flagstaff is snowy with freezing temperatures. Make sure you're prepared with full-winter clothing, and chains for non-4-wheel-drive vehicles are not a bad idea. Make sure to check road conditions in the winter. www.adot.gov. Spring is beautiful with warming temperatures, but still on the cool side. It's always a good idea to bring light jackets or sweaters when in Flagstaff, because it can be quite windy even on those warmer days. Flagstaff is very casual in vibe and dress. There's no need to go out of your way to dress-up for a nice dinner out unless you want to. Restaurants are used to serving people who are just coming back from a big day of adventuring, road-tripping and sightseeing. Come as you are and have a good time.